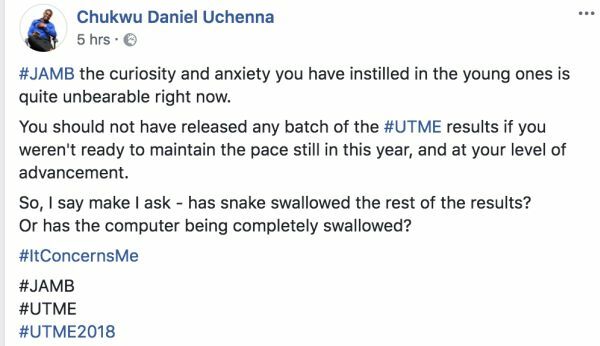 As candidates anxiously await the release of the 2018 UTME results, which JAMB said would be released yesterday, March 19, candidates have taken to social media to express their frustrations and curiosity. 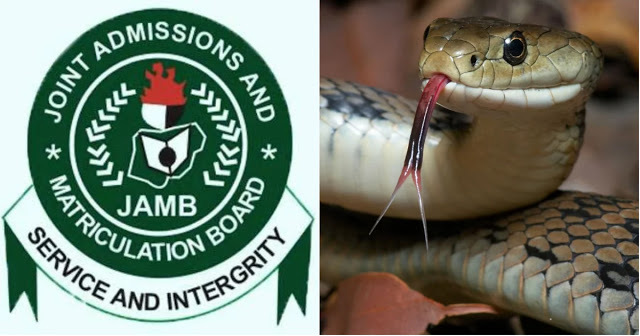 One of the candidates, Chukwu Daniel Uchenna, said “#JAMB the curiosity and anxiety you have instilled in the young ones is quite unbearable right now. You should not have released any batch of the #UTME results if you weren’t ready to maintain the pace still in this year, and at your level of advancement. So, I say make i ask – has snake swallowed the rest of the results or the computer been completely swallowed?